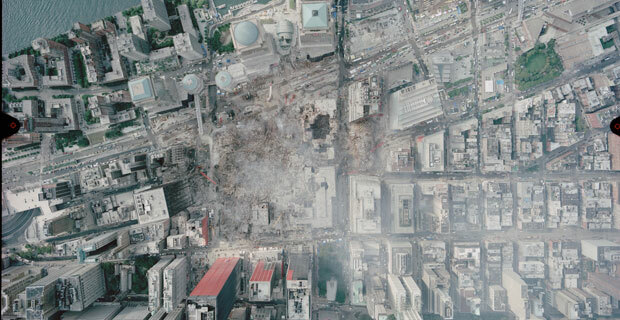 Consumer Affairs reports that 95% of the 10,000 rescue workers from the 9/11 attacks accepted a settlement providing payouts for health-related claims that were a direct result of their service for the months, even years, after the terror attacks. The rescue workers spent years entangled in litigation, but their resolve should pay off, as the agreement payout could total between $625 and $815 million when all is said and done. A ranking scale was devised in order to determine which workers got how much. Depending on the severity and nature of their injuries and ailments, the rescue workers are divided into four tiersÂ Â and will receive payments ranging from $3,250 to$1.8 million. The lower end of the scale represents workers who endured no injury but who are forced to live with the mental and psychological trauma and stress over the fact that will eventually get sick, whereas the higher end of the scale is reserved for those with more severe health issues. Of the four tiers of injury ranking,Â Â more than half of the plaintiffs fall into the most severely injured category and will account for 94 percent of the payout. How much a plaintiff is financially rewarded depends on how closely their condition can be correlated to exposure to toxins present at the Ground Zero site; in what would seem counterintuitive on the surface, someone with asthma could be awarded a larger sum than someone with cancer, but that’s because asthma is a condition more closely linked to the site’s contaminants. Does the settlement sound fair to you? Do you think the scale of injury and ratio of payout is fair or is it not scientific enough for your liking?